Sarah Hill is a Content writer at Seven Events Ltd – a leading Event Organiser and corporate travel management company in London. The company has successfully managed in achieving its goals in creating events that exceed expectations and adding value to their client’s businesses. 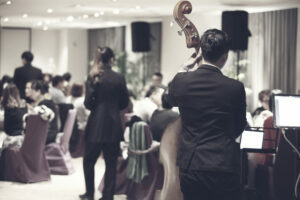 Check out Sarah's event tips and ideas at her Event Management Blog. The event management team are experts in knowing the best locations and destinations for different types of events and we have spent a lot of time building and developing relationships with our international contacts. The good news for all of our clients is that we deal with overseas events in exactly the same way as we would for a UK based event… the key is to ensure everyone has fun and the event leaves a lasting impression on all of the guests. Business travel can at times be frustrating especially if you are having to contend with awkward language barriers and tricky time differences, however, with event companies constantly creating the laugher and fun this will never an issue for you. It is not just the language barriers and time differences that tend to take the fun out of business travel. Busy or over booked planes, delays and rushing around the airport can also be a mood killer. Over the years, we have learnt some valuable techniques for keeping business travel a fun experience. With just a bit of forethought and a few Internet searches, each trip becomes a fascinating adventure of fun and learning. Here are some ideas to try next time you are co-ordinating an international event and travelling for business. 1. Remove the bother to make more room for the fun! All of the elements that cause business travelling to be a bother can very easily be irradiated. If for example you are travelling with a group which you are responsible for – try your hardest to travel light so that once you have checked your bag in you only have a small handbag or hand luggage item to lug around the airport. If again, you are travelling with a large group – when you allocate seats on the flight for all of your passengers make sure that you allocate yourself a seat that is a few rows behind the group. This will give you the opportunity to either get some rest before touch down or to revisit your event ops and ensure everything is thus far running to schedule and nothing has been forgotten. Once you have landed – be sure to contact the transfer company to ensure that they are there to meet with you and the group in arrivals and show you to the coach. When everyone is all aboard and enroute the hotel, in our experience having a fun tour guide on the coach is a fab way in kick start the trip. 2. Always allow a day of free time to the itinerary. Some people feel business travel is a constant personal space invasion. Adding a day of free time to your itinerary is always a great idea. Guest’s like to know that there is an opportunity for them to explore the city, visit landmarks, sample the local cuisine or taking some time for myself. Although it is down to the event manager on most occasions to create the ‘fun’ often allowing your guests to have free time enables them to take charge of that for themselves. 3. Why not sample some of the local cuisine. Arranging tastings in restaurants or even the chosen destinations local food markets is a brilliant way to introduce guests to the local cuisine. Activities such as this is also a great way to get the group talking and bonding with one another. If the chosen destination happens to be famous for its wines and beer aka South of France or Germany arranging a tour of a vine yard and/or brewery followed by a tasting is certain to keep your guests smiling. 4. Create your own interactive cultural guide. Rather than sitting quietly in the hotel enjoying all of the facilities it has to offer, get the group and go on an adventure! Nearly every destination/location has something interesting within a stone’s throw; it might be a strange museum, historical sight, or a hidden bar famous for its local tipple. Together with your Destination Manager, why not plan a treasure hunt for the group through the city which will give them the opportunity to visit all of the sights. Another way to really emphasise the fun element would be to introduce actors into the tour who will catch up with the groups during different stages of the treasure hunt to deliver further clues and point them in the right direction. An activity such as this will also give your guests the opportunity to browse the local gift and souvenir shops. There is little you can’t buy online these days, which makes finding a local craft a rare joy. 5. Always chose fun and exciting venues. Right at the beginning of the planning process we will provide our clients with a proposal of suggested venues for their international event. This proposal will include hotel options and also venues for any networking reception they wish to host during the trip. We will also cover fun and interested restaurant options too for group dinners. When it comes to selecting the venues we always like to think outside of the box and introduce our clients to venues that they either may not have heard of before or venues that come with an extra shen ne say qua. Event management companies work with a wide variety of clients within the corporate sector that, at some point in our partnership, have involved business travel. We understand that whilst one style of event is perfect for a law firm, that same style isn’t always going to be appropriate for others. We will always adapt and alter our approach to planning international events in order to meet our client’s criteria and preferences but most importantly introduce the FUN! Every day we all work with the company’s moto in mind – MAKE IT DIFFERENT, MAKE IT MATTER, MAKE IT HAPPEN! We like to think of ourselves as a ONE STOP FUN SHOP and EXTENSION OF YOUR TEAM that are responsible for bringing the fun!